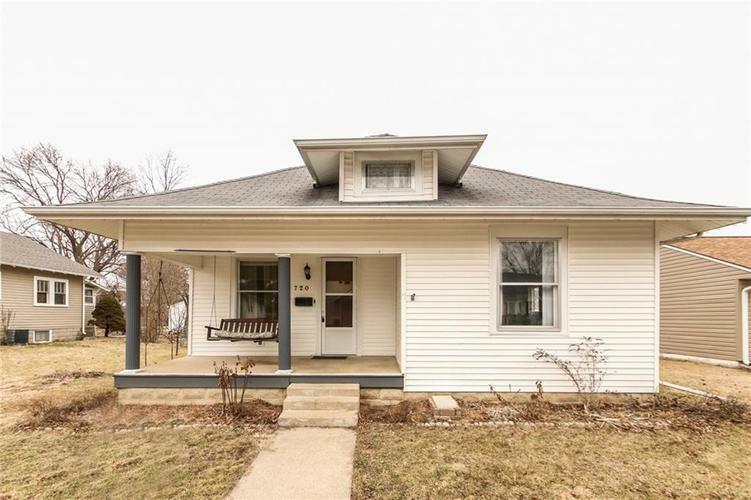 This warm and cozy 2 bed 1 bath Craftsman's bungalow has been lovingly maintained, is move-in ready and still retains so much character! The covered front porch welcomes you home and is perfect for a swing and relaxing. And once inside, you'll love the 9 foot ceilings, the original woodwork trim throughout, and all the natural light that streams in from the large windows. Brand new flooring in the updated kitchen and laundry room! The fenced in backyard leads to the back door of the oversized detached 2 car garage, perfect for a workshop! Very close to the town park. Directions:65 North to 1st Lebanon Exit-Indianapolis Ave.- North on Indianapolis Ave. to South Street. East on South st, home is on the north side of the street.